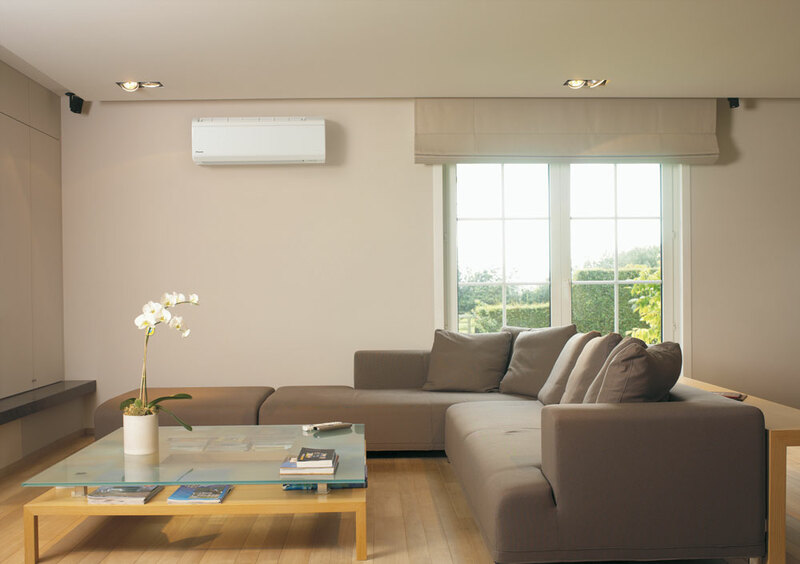 A ductless system from Alvin Hollis gives you the most advanced technology that allows you to enjoy more precise comfort in one or multiple rooms while saving on energy bills—and contributing to a greener planet. Installing a Mitsubishi ductless system contributes to your home comfort two-fold, as these advanced systems are used for both heating and cooling! As a Mitsubishi Diamond Contractor, we are able to install and service advanced ductless systems with the highest level of precision and expertise. Unlike traditional duct heating systems, Mitsubishi ductless systems give you the flexibility to transform any room into an oasis of comfort. This affords the ability to enjoy precise temperatures in sunrooms, common areas, bedrooms, garages – or one of their whole-home solutions. Because these systems allow you to control the temperature in individual rooms, you avoid the energy waste of having to cool or heat rooms you are not using. This will save you money on your energy bills year ’round.